A group of Challenge service stations is now using Infinity unified commerce platform, after a fast rollout. 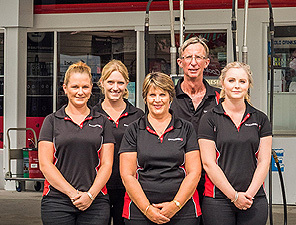 Nine Challenge service stations located around the country and owned by nine individual businesses gave us a big challenge: Understand our requirements and get Infinity up and running in 6 weeks. We had this deadline because the existing system was reaching its end of life. Add in the Christmas holiday break and we had even less time to scope the project, configure Infinity, test and deploy to the sites. Infinity has a configuration and built-in features specifically for fuel and convenience stores so there was no change required to get Infinity up and running. Infinity is intuitive and fast for staff to learn and it processes sales very quickly so customers can be in and out with no fuss. In addition to point of sale, Challenge is using Infinity to unify inventory and pricing and promotions data. This visibility lets owners see which items are selling so they can stock more accurately and confidently offer relevant promotions. Behind the scenes, Infinity integrates with Xero and Reckon to automate general ledger transactions. Our partner, ECL Group, managed the rollout and provide ongoing support backed by Triquestra’s 24/7 support. If the beginning of the year means it’s time to re-evaluate your retail systems, start here. No matter the scale of what you want to accomplish – boosting POS functionality, getting a single view of inventory, or starting your unified commerce journey to connect POS, inventory, fulfilment, order and customer data – you need a partner with the right people, processes and technology. A partner who understands retail’s demands and can give you the system that will improve customer happiness, staff satisfaction and your bottom line. Look for a partner who’s been around retail for a while, with a sound platform, business model and proposition. They’ll need to understand your fast-paced, data-intensive environment where any significant level of downtime is unacceptable. Their people will have the capability to help you plan and implement your projects so they suit you right now and into the future. When you choose a partner with a mature platform, they can focus on delivering innovation because the core functionality you need already exists. Make sure your partner has a recent and proven success record for planning, implementing and managing complex, large-scale deployments across multiple stores, multiple formats and multiple geographies. Do they have stable and well-tested strategies and technology or are they just adapting existing supply chain and fulfilment models? Ask if they’ve worked with related technology, systems and service providers. And how their capability integrates with eCommerce, payments, supply chain and finance software. Request case studies or references and ask about the consultancy, customisation, deployment, training and support services they provide. You want a partner who’s got the people and processes to move fast, while cultivating an environment where innovation flourishes. They should use agile methodologies and have experience working with agile retailers. Get evidence of their history of responsiveness and their ability to assess and quickly correct any unforeseen issues. Ask how they’ve managed things for a client when faced with unexpected changes, a competitor’s action or customer demands. Choose a partner that can give you a broad and holistic portfolio, perspective and experience. One that gives you all your core requirements out-of-the-box plus the ability to customise and easily add new functionality. For the best customer experience, you need to intrinsically link inventory, fulfilment, orders, supply chain and planning. You don’t want to be tied to a point player that can only provide portions. Your partner should let third parties connect to their technology via APIs and cultivate a community with those parties so you can give customers more shopping, payment and fulfilment options. You also need to know that your partner has a strategic roadmap and investment committed for new capabilities. Look for a partner that’s an Australasian business, focused on our region’s potential to succeed. 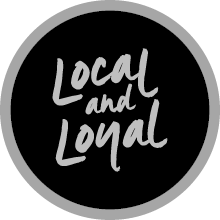 A local partner means you can have more influence on the product roadmap and enjoy direct engagement with people on the ground who are committed to your success (and not distracted by offshore business activity). And a mid-size partner is more likely to view you as an important customer of influence. It’s far better to be a big fish in a small pond (and not have to fight for attention as a small fish in a big pond would). If you’d like a benchmark to rate your current or potential technology partner against, contact us. For more than 23 years, Infinity has been dedicated to the development, implementation and support of retail systems. We’re renowned for being both pioneering and reliable. You can count on us for consulting, platform implementation, integration, training and support that helps you get great results. Want to increase your pace of innovation? Giving your customers truly innovative experiences is the fourth step in your unified commerce journey. By this stage, you’ll have centralised your inventory and customer data onto a single platform, you’ll be extending brand experiences across all channels and you’ll be delighting customers with personalised experiences and messages. Next is shifting your team’s priorities to innovation and using APIs for a disruptive competitive advantage. The most innovative retailers are creating new business models that are less focused on the store-online-mobile balance and instead concentrate on building ecosystems that give their customers extraordinary experiences. These retailers have realised that they need to access third-party data and services to successfully give customers what they want at every step of the customer journey. In the past, that required moving a lot of data between systems and possibly even replicating functionality in systems to achieve a consistent outcome. Now the best retailers are embracing Application Programming Interfaces (APIs) for efficient and open connectivity between applications, partners and customers. Using APIs, they can expose rather than move or replicate data, and make one set of functions available across various systems without having to recreate it. APIs are present in every part of our digital world. Every time we use an app like LinkedIn, make a Skype call or listen to Spotify on our phone, we’re using an API. APIs let you add specialised functionality to a website, application, platform or software without having to write all of the back-end code. By using APIs to access existing solutions in the market, you are free to focus your development efforts on the front-end and create new services that deliver frictionless customer experiences and differentiate your brand. You can also use APIs to turn your own assets into a platform that can attract partners to build new products and services that bring you both additional revenue. For example, you could release an API that lets developers access your product catalogue to build interesting applications that increase your product exposure. APIs let you easily expose your product catalogues and other eCommerce solutions to give customers many more ways to engage with your brand. Social platforms like Facebook and Instagram have launched APIs that let you sell products on your social pages. For example, Instagram’s shopping feature lets you tag up to five products in organic posts which consumers can then tap on to find out more information and make a purchase. Using an API like Semantics3, you can connect your product catalogue web pages directly with a global database that shares detailed information such as brand images, product descriptions, product specifications and full product titles. That lets you sell more by creating better product listings and expanding your catalogue and market reach. Retailers have long used APIs to personalise their websites and the marketing content they serve up to customers. Site search APIs like Algolia provide advanced search features to help visitors quickly drill down to particular products. Personalisation APIs like RightMessage help you organise your website content to better match the needs of every customer, based on previous visits and buying history. And marketing automation APIs like Emarsys let you suggest products you know they’re interested in. Visual search APIs are also helping customers quickly find the products they want. The Iconic’s Snap to Shop and Cue Clothing’s Style Finder mobile apps use Alibaba Cloud’s visual search service to retrieve information about products that are similar or identical to an input image. Users can shoot or upload an item of clothing’s photo and each service searches the retailer’s range for similar looking products. When 50 percent of all searches are predicted to be voice searches by 2020, you can consider using Siri, Alexa and Google Assistant APIs to further tailor the shopping experience and boosts sales. Deregulation of the banking sector and an explosion of new fintech startups is letting consumers shop online using many new payment options and mobile apps. Payment APIs from PayPal, Stripe, Square and Dwolla not only offer you the technical, fraud prevention and banking infrastructure that’s required to operate online payment systems, they also give consumers innovative digital payment options. When 25 percent of online shoppers abandon their orders due to frustration with filling in forms, you can offer a digital wallet that lets people transfer their information securely and accurately. These digital wallets are the payment method of choice in mobile-first markets like China. If you’re selling in China or want to provide frictionless experiences to Chinese visitors, students or ex-pats, then include support for Alipay and WeChat Pay, the dominate digital wallet providers with 92% market share between them. Consumers also love new ‘buy-now, pay later’ services, particularly millennials with an aversion to credit card debt. APIs let you easily offer pay-later options from providers like Afterpay, Laybuy or PartPay. The benefits can be immediate: Afterpay reports that many retailers have seen customer order sizes jump between 20 to 50 percent and retailers are processing up to 25 percent of online orders through the service. Your order fulfilment process gives you an opportunity to meet customer expectations for faster and cheaper deliveries. Shipping and delivery APIs let you integrate third party services to automate everything from the sale through to the parcel being delivered to your customer’s address of choice. APIs from Shippit, Temando and Gosweetspot provide one-stop-shop systems to generate a consignment label, ship via the cheapest and fastest delivery service and track your order. Your customers get the benefit of shipping flexibility, checkout customisation and other functions like tracking notifications and customs forms. And bricks-and-mortar retailers can gain a competitive advantage – for example, fashion retailer Cue Clothing uses its stores as distribution centres for fulfilment options such as 30 minute click-and-collect, store-to-door and 3-hour deliveries nationwide. So how do you start making the most of APIs? Begin by evaluating your company’s value chain. Can you easily integrate and use APIs to access third-party platforms and services to scale your business? Or can you release your own APIs to attract partners and build out your platform? The two options are not mutually exclusive. An API-enabled platform like Infinity lets you scale your business quickly by easily adding new apps and services as business requirements change. We can also help if you’re looking for advice on how to create a strategy and implement an API programme that quickly creates customer and business value. By developing a community of third-party apps and systems working together in an ecosystem, you can reduce integration and maintenance overheads, enjoy virtually limitless scalability, monetise your data and continually innovate. Contact us for advice on how to use APIs to achieve greater agility, faster growth and better margins. For more on how to give your retail business the flexibility and agility you want, download our ebook. Are you looking for new ways to build trust, loyalty and repeat sales? Creating delightful, personalised customer experiences is the third stage of your four-stage unified commerce journey. Here we look at how to invest in fresh, value-added experiences that appeal to today’s consumers. To learn more about the first and second stages of unified commerce, check out our earlier blogs on how to get an accurate and single view of your inventory and extending your brand experience across all channels. Today’s retailers know that changing customer behaviours and disruptive technologies have altered the dynamics of customer loyalty. While loyalty used to be closely linked to price and proximity, now it’s awarded to the brands that offer the best experiences and personalisation. Customers want individual content, communications, offers and rewards based on their preferences and purchase history. They expect to be recognised across all channels, no matter whether they walk into a store, phone a call centre or shop online. Is customer experience important to decision making? And when 73% of people say customer experience is an important factor in their purchasing decisions (just behind price and product quality), that’s a massive opportunity to create more authentic and frictionless experiences that strengthen your customer connections. However, many retailers struggle to get this connection right. There’s a growing disparity between rising consumer expectations and the reality of what they encounter online, on apps and in stores. Poor attempts at personalisation experience can turn consumers away, with a recent survey revealing that 38% of US digital shoppers would avoid shopping with retailers that made poor product recommendations. And after Facebook’s Cambridge Analytica scandal and heightened awareness of consumer rights via GDPR, data privacy and security are more important to consumers than ever. Retailers now face a ‘privacy paradox’ - they’re caught between the need to use data to provide better consumer experiences and the risk of violating consumer privacy. So how do you create meaningful relationships without overstepping boundaries? As consumer spending shifts toward experiences rather than physical goods, customer loyalty programmes also have more success with experiential rewards. Discounts and cashback rewards yield below-average customer satisfaction, while personalisation and other experiential features make consumers happier. Sephora’s Beauty Insider Program has over 10 million members and helped propel Sephora to the number one speciality beauty retailer in the world. Why? It’s the experiences that the program offers at all levels. These include personalised product recommendations tailored to each customer based on shopping history, through to exclusive products and events, invitations to the Sephora Beauty Studio and early access to products and sales. Not only do these offers motivate customers to purchase more products, they also make customers feel valued, foster loyalty and turn shoppers into brand advocates. Implement a fully integrated loyalty programme that gives you a 360 degree view of your customers. By looking at their purchase and browsing data, you can work out which types of experiences motivate them and develop timely, relevant and tailored rewards that surprise and delight. Be sure to offer personalised experiences across all your tiers, not just the top levels. Customers want faster and cheaper purchase delivery to the location of their choice, including on-demand or same-day. This desire puts huge pressure on retailers to have a real-time view of inventory and the fulfilment capability to get orders turned around on a faster scale than ever before. Multi-store bricks-and-mortar retailers that are taking advantage of their store networks to compete with Amazon and the online giants. While many eRetailers rush to build distribution centres, beef up their data analytics to anticipate orders and even test delivery by drone, bricks-and-mortar retailers already have the power to enable same-day delivery. By turning their stores into customer-facing fulfilment centres that deliver purchases from stores to consumers in a few hours, they are creating a new retail battleground. The savviest retailers are combining drop shipping with third-party logistics (also known as '3PL') to offer warehouse-to-door or even manufacturer-to-door. They no longer need to transport and store inventory in a costly warehouse and can efficiently and quickly scale by adding new suppliers and products that help win new customer business. With a unified commerce platform, you can choose the logistics and fulfilment options that are most efficient for your customers and most profitable for you. Infinity’s order management system provides visibility across channels and ensures consistent and accurate stock, customer, purchase history and loyalty information in any channel. You can then offer same-day delivery by using APIs to partner with fast-shipping providers that let you connect to existing courier services and optimise delivery routes from your stores. Consumers no longer view bricks-and-mortar stores as primary shopping destinations but just one of many distribution points. That means to attract customers into your stores, you need to offer fresh, value-added experiences. Target’s mobile app is a good example of how to combine mobile and in-store experiences. The app uses GPS to help in-store customers find what they’re looking for quickly. And beacon technology can alert shoppers to discounts as they move about. Physical stores are evolving into showrooms that feature merchandise to be touched, felt and tried on, then ordered and shipped to shoppers' homes. Showrooms have always been popular with certain industries (such as bespoke clothing or furniture), but the format is taking off with online and bricks-and-mortar retailers as well. Samsung’s ground-breaking flagship experiential store - Samsung 837 - goes even further. It’s a 56,000 square foot playground with interactive art, virtual reality, lounge areas, a recording studio and a three-story, 96-screen display wall. It doesn’t try to sell visitors anything - instead it encourages them to explore, learn and have fun. By focusing on activity, not product, the store has attracted accolades and been labelled one of the world’s top three brand experiences. 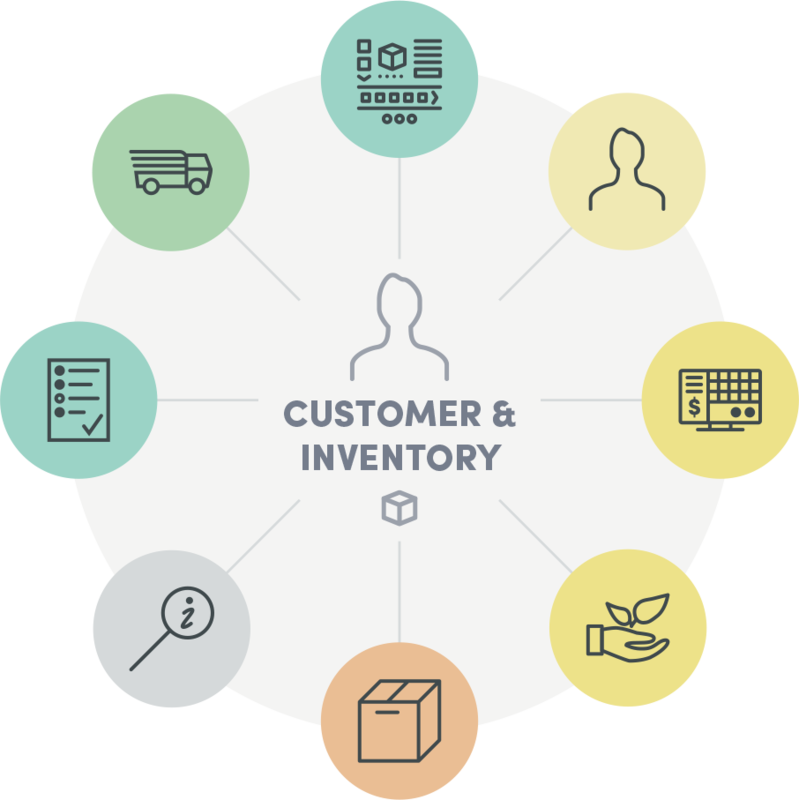 By providing a single view of inventory and customer data, unified commerce gives you the freedom to design and implement new in-store customer service technologies and experiences. Imagine the customer satisfaction when you can offer shoppable screens, connected change rooms, or mobile apps that self-checkout. They all let customers easily locate products, find their order status or get personal recommendations. Retailers are using new technologies such as augmented reality (AR), artificial intelligence (AI), Internet of Things (IoT) and RFID technology to not only automate parts of customer service to cut costs but also increase customer satisfaction. By digitising services across all channels and touchpoints, they are increasing convenience, customisation and control over their customer experiences. Many retailers start online, building websites that provide individual product recommendations based on a combination of the customer’s behaviour, CRM data and AI. They then create customer communications that include personalised recommendations, with emails released at a specific time when each individual is most likely to engage with the communication. Sephora’s use of AI and VR spans online, in-store and app shopping. Knowing that the vast choice of products can be overwhelming for customers, Sephora developed a variety of tech options to make shopping more fun and more efficient. Customers can try on makeup virtually using AR, match their skin tone to a foundation with AI and sample a fragrance via a touchscreen and scented air. And this is just the start, with Sephora saying that five or ten years from now every aspect of a customer’s experience, from what they see to the products that are recommended, will be customised, based on face shape, sales history and stated preferences. You can use APIs to easily create or add new apps, systems and services, fast. You can partner with startups and tech companies outside the retail industry to take advantage of new capabilities and deliver results at a speed and scale that would be unachievable within a traditional omnichannel model. You’ll also need to cultivate the necessary digital skills by partnering with or hiring talent from marketing, product development and technology industries to help source, develop, evaluate, test and ultimately launch new offerings and technologies for shopping in-store and online. How will you create an ‘experience-first’ future? Consumer expectations are driving today’s retail successes or failures. The most successful retailers are digitising their entire business strategy, using new technologies to create in-store, in-app and online solutions that simplify and enhance the shopping experience. Stay focused on your customers and their pain points. If what you're creating doesn't make the shopping experience faster, easier or more fun, then it's probably not worth the investment. Keep an eye out for our blog about stage four of implementing a unified commerce platform - how to use APIs (Application Programming Interfaces) to deliver truly innovative offerings to customers and build a competitive advantage. If you’d like help to build genuinely meaningful customer experiences, get in touch. We’d love to help you achieve greater agility, faster growth and better margins. Do you want to give customers more ways to shop with you? Extending your brand experience across channels is stage two of the four-stage unified commerce journey. Cue has centralised its inventory and customer data onto the Infinity unified commerce platform for one version of truth across all channels. This article series takes you through the four stages of adopting a unified commerce approach to improve the way you engage customers and help you innovate at pace. Last month, the retail industry descended on New York City for the National Retail Federation’s annual conference. A record-breaking 35,000 retail professionals from all over the globe attended NRF 2018 to learn about the latest retail technology trends and network with their peers. We’re always making Infinity better and this latest release includes API enhancements, new reports and new inventory capabilities to improve the experience you offer your customers. Where once the task of purchasing an item involved bricks and mortar stores only, payment with cash or cheque at the point of sale (POS), followed by leaving the store with the purchase, we now live in a world where the task is a little more, well, omnichannel.